WWF-Hong Kong has been working since 1981 to deliver solutions for a living planet through Conservation, Footprint and Education programmes. 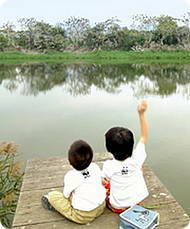 Since 1983, WWF-Hong Kong has actively managed the Mai Po Nature Reserve (a 380 hectare area in Deep Bay), located on the northwestern corner of Hong Kong which is among Asia’s finest locations for wetland biodiversity. You need to write directly to WWF. This blog is my way to highlight volunteer opportunities available in Hong Kong. I am not associated with any of the organisations profiled.